Mission: This Ministry and Chapel are shared with several parishes in the area. It is the will and desire of Jesus to be present in Body, Blood, Soul and Divinity in the form of the Eucharist at the Blessed Sacrament Chapel. Jesus calls each one of His adorers to spend time with Him in His loving presence. The Chapel is God’s home where you can always find peace and comfort for all of your needs in a quiet and comfortable atmosphere. There are a variety of books available for use during your hour. 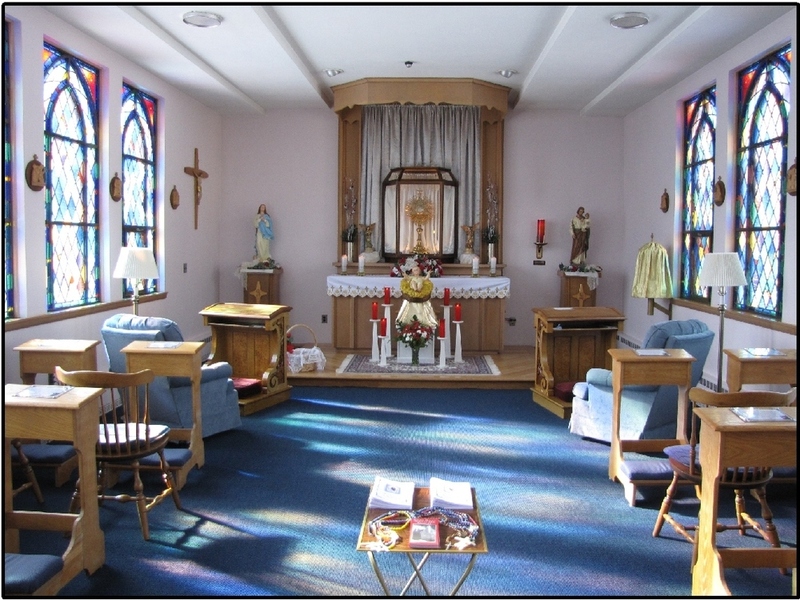 Membership / Participation: Adorers are needed to fill hours at the chapel through attentive prayer or meditation. New adorers are always needed. Please be able to have a replacement if you are not able to attend your scheduled hour. Volunteers are also needed to help with cleaning and maintenance of the chapel so that it will be available for all. The chapel closes from 12 noon on Holy Thursday until Easter Vigil 10:00 pm. A yearly anniversary celebration and dinner is held. Meetings of the coordinators are held as needed. How to Join: Contact Barbara Avery at (508) 943-1489, Kendall or Jane Sprague at (508) 943-8955, or Jeanne Guerin (508)-208-9064 to express your interest and to commit to an hour. There are also sign-up sheets available at the Chapel. There is a clean restroom, telephone, and handicap ramp at the Chapel.